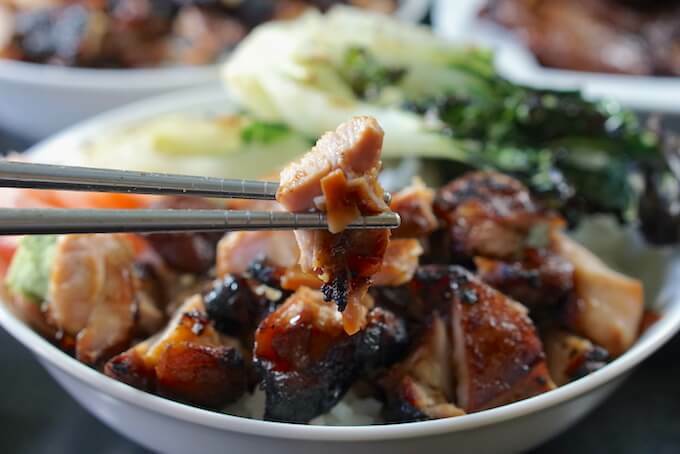 This easy Teriyaki Chicken Bowl is a hundred times better than take out and so simple to make! 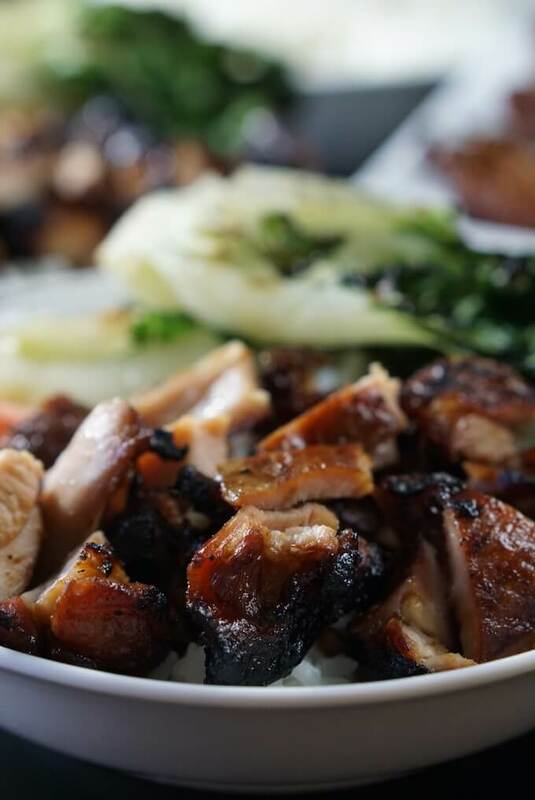 Chicken marinated in sweet teriyaki sauce and charbroiled until tender and juicy. Served with rice and your favorite vegetables it’s a great weeknight meal and packs a ton of flavor. This is an easy, delicious rice bowl that the whole family will love! 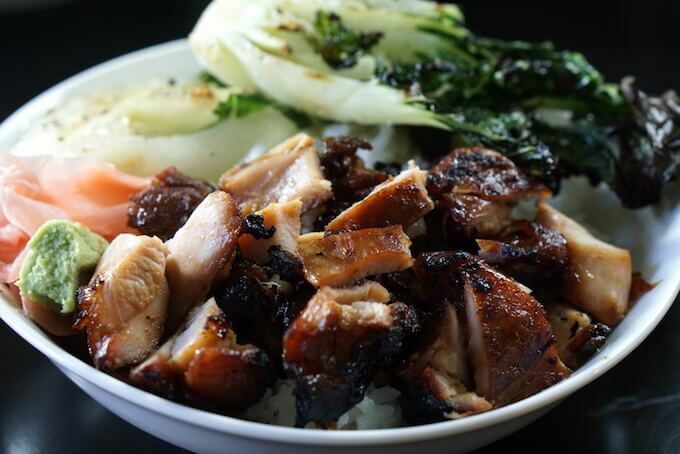 Tender juicy teriyaki chicken, rice and bok choy make this bowl a full meal! When Dan and I were dating he would drive up from Fresno to Sacramento Friday nights and stay until Sunday. Often times before he would leave we’d go out to lunch. One of our favorite easy foods was I ❤️ Teriyaki, a small restaurant in Mather. They grill mounds of chicken and it’s served over rice with a small side salad. I still have family in Sacramento and Dan is often in the area for business. We stop and dine here whenever we have the chance. I’ve even been known to toss a cooler in the car. That way we can enjoy a meal from this restaurant, even when we’re on the road! It never occurred to me to make it at home!! Seriously, this is what I do for a living. Ha! This meal is so easy, it’s a perfect weeknight meal. Marinade the chicken during the day and grill it up in the evening! What vegetables are good with teriyaki chicken? How many calories are in a teriyaki chicken bowl? The chicken thighs with the marinade have just over 400 calories each. 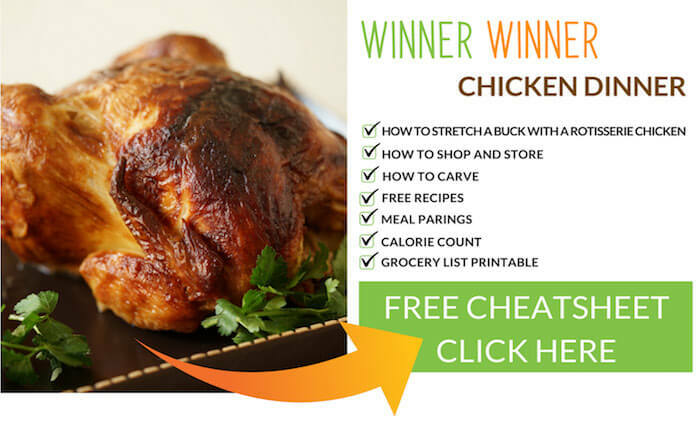 Using chicken breast will lessen the calories but in my opinion, you lose a lot of flavor. I’m a big fan of thighs – but use your favorite cut. Tender, juicy chicken and vegetables piled over rice. Chicken thighs, teriyaki sauce, rice. Pretty simple huh? You’ll combine the marinade ingredients. Soy sauce, brown sugar, ginger, onion, garlic & sesame oil. Add the chicken. 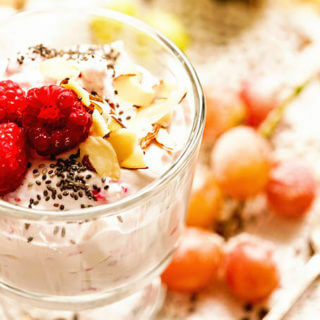 Refrigerate for 2-3 hours or overnight – even better! The next day or that evening, grill the chicken. I saved out a bit of the marinade (before adding the chicken) and simmered it until it had reduced and thickened. Then drizzle the sauce over the chicken before serving. Cook rice and just look how wonderful this meal is! What can you add to teriyaki sauce? Noodles – better than take out! Step by step instruction how to make teriyaki chicken. Since the grill was already heated rather than making a salad I grilled some baby bokchoy. For this I simply split them in half, drizzled with sesame oil and a splash of soy sauce and onto the grill they went. They only take a few minutes per side. How do you make your own teriyaki sauce? Measure the soy sauce and brown sugar and place in a large ziploc bag. Chop onions and add them to the bag. 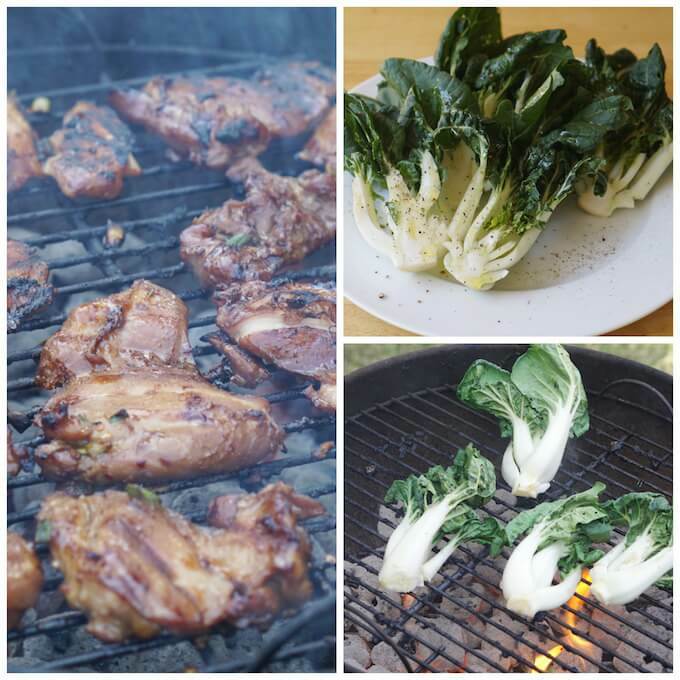 It’s grilling time and there is chicken on the grill along with grilled bok choy. How do you make chicken teriyaki? When it’s time to grill, remove the chicken from the bag shaking off the excess liquid. Discard the liquid. Grill the chicken until the thighs are completely cooked thru – about 6-8 minutes per side depending on the size of the meat. Remove from the grill and and place on a plate. Cover loosely with foil and allow the meat to rest for 10 minutes . Chop into small bite sized pieces. Serve the meat over cooked rice, drizzle with teriyaki sauce. If desired, grill or steam vegetables and serve alongside. 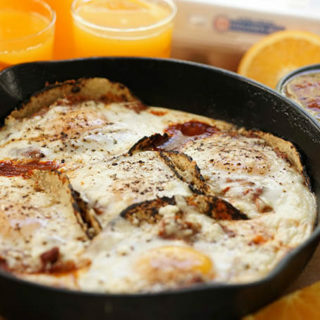 Now we can have one of our favorite meals at home! And YOU can too! It’s easy. Super delicious and a perfect weeknight meal! What is your favorite restaurant meal that you make at home? 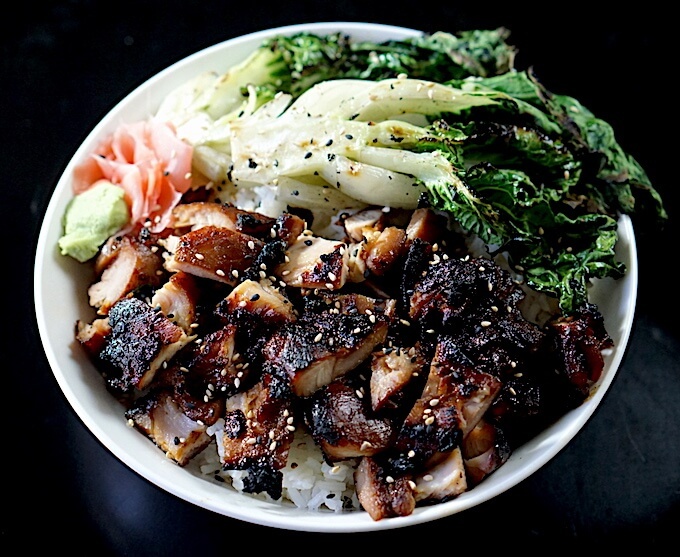 This easy Teriyaki Chicken Bowl is a hundred times better than take out and so simple to make! Chicken marinated in sweet teriyaki sauce and charbroiled until tender and juicy. 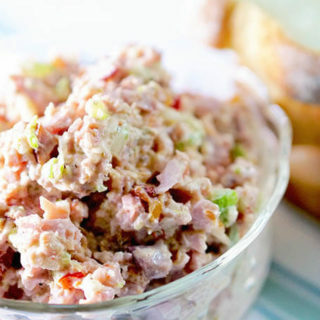 It combines simple ingredients and offers big flavor. So yummy and easy enough for a simple weeknight meal! Measure the soy sauce and brown sugar, grate the ginger root and garlic. Place in a large ziploc bag. Chop the onions and add them to the bag, add the sesame oil. Mix well. Scoop out about half a cup and set aside to reserve. When it's time to grill, remove the chicken from the bag shaking off the excess liquid. Discard the liquid. Grill the chicken until the thighs are completely cooked thru - about 6-8 minutes per side depending on the size of the meat. Remove from the grill and and place on a plate. Cover loosely with foil and allow the meat to rest for 10 minutes . Chop into small bite sized pieces. While the meat is resting put the reserved sauce in a small pan on the stove. Bring it to a boil, then turn the burner on low and allow to simmer and reduce for ten minutes. Serve the meat over cooked rice, drizzle with reduced teriyaki sauce. If desired, grill or steam vegetables and serve alongside. 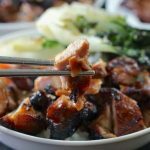 More recipes for Teriyaki Chicken? I gotcha covered! Mmmm….so yummy Emily – better than take out! Oh wow this looks so tasty and good. Love teriyaki and grilling. 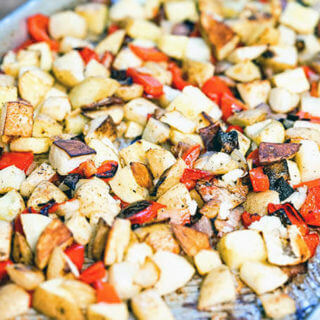 The fact that you are also grilling the veggies adds a very nice layer of flavor too. Awesome sauce! Thanks Adriana! 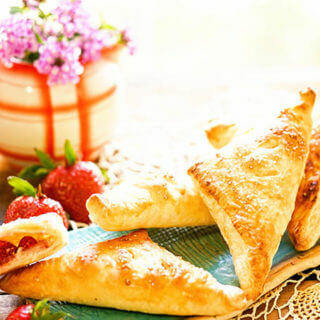 Such a yummy meal, I hope you really enjoy it. Thank you so much for taking the time to comment! Finding a really great restaurant is worth it’s wrought in gold. I can’t get enough of the maple glazed salmon cooked on a cedar plank from a local restaurant. I could easily done in to a pile of this chicken over rice. I’m especially intrigued by the grilled bok choy. I so agree Kirsten – always good memories that go with that great food too. The grilled bok choy is super yummy – love those easy meals! I lloovee this! grilled chicken in teriyaki sauce..? I am in! Yum, yum, yum! It’s terrific – enjoy Citra! Thanks so much, this is a yummy bowl – enjoy!! This bowl looks amazing! Pinned! Thanks Linda, I hope you give it a try – thanks so much for stopping by! We love “bowl” dinners here! Definitely adding this one to our list! Pinned! Thank you! Awesome Erin, love bowl meals too – enjoy!! 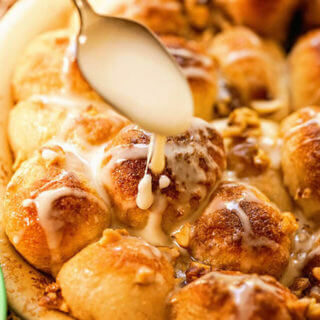 Wow this looks amazingly delicious. I do that often too, go somewhere and enjoy the food and forget I can make it at home too! Isn’t that funny?!! I’m glad I’m not alone, thanks Dawn – I appreciate you stopping by!! This looks delectable! I can see why you would go to the effort to make such a flavor-filled favorite at home. And I have also been known to tote a cooler when traveling. Sometimes you just need a fix of that favorite dish! So tree Dee Dee – right with you there! I know people think I’m nuts sometimes (and they are probably right…) but we all have our quirks, right? 😀 Thanks for stopping by! I’ve been craving a “bowl” from a restaurant we used to frequent. We no longer have that restaurant nearby so I searched for a recipe online. I’m so glad I found this recip. I made it tonight and really enjoyed it. I used sushi rice so it took awhile longer, but it was worth it. It was as if I had ordered it from my old favorite place. Thank you! Fantastic Cindy!!! Thank you so much for letting me know – I LOVE this bowl and I’m so happy you do too! The sushi rice is smart, it makes it that much better. I’m going to smile the rest of the day, I appreciate the feedback! !